I have to say the one thing that sells this disc more than anything is Jann Klose’s voice. He’s got a great voice and he knows how to use it. The vocal performances are the best part here. The music is quite good, too. So, it’s really a testament to his talent that the vocals sell it to the degree they do. This is a great disc I’d highly recommend. It’s accessible modern pop rock with various influences and one awesome singer. A smoking retro rock inspired jam with a lot of reggae in the mix serves as the basis for this tune. It’s catchy and has a lot of meat to it. I love the retro keyboard sounds. There is less of a retro vibe here. That’s not necessarily a bad thing, though. Indeed, this is a powerful and especially effective cut with a lot of modern pop rock sensibilities. The arrangement is killer and the piece itself just rocks. The vocal performance is arguably even better than that on the opener. A mellower tune, there are some hints of European café music in this. It might have less energy, but it’s got all the cool and charm of the two previous pieces. I love the vocal showing on this one a lot. Acoustic guitar serves as the only backdrop for the vocals here. That doesn’t mean the song loses anything other than instruments, though. The vocals are strong enough to make this work really well. This cut isn’t very fast or energized. It’s got a powered up arrangement, though. It’s a soulful bluesy tune that is quite effective. Even more bluesy than the previous one, this cut is a real powerhouse. The vocal performance is among the best here. 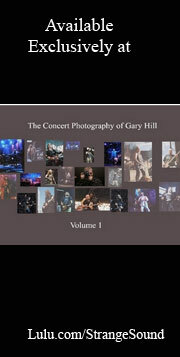 There’s also some particularly tasty guitar on this. In fact, this is arguably the best tune on the disc. Here is more of a bouncy pop number. It’s got some of that reggae vibe we heard on the opening song, but only in very small helpings. I like the acapella section on this tune, but the whole thing is fun. It’s not as strong as the previous piece, but then again, not much is. Folk music meets alternative pop on this catchy cut. The female vocals that appear here are a nice touch. So is the violin. All in all, this is a fun song. A rather bouncy and fun song, if there is a loser here (and that’s questionable), this is it. It’s got a great vocal line and a lot of energy. It just doesn’t seem to work as well as some of the other music here. The arrangement at times feels a little overdone and cheesy, too. Many times I think closing with a mellow song is a mistake. On this album, I’m not so sure. I mean, really, the one factor that stands out the most and sells this disc is the vocal performance. 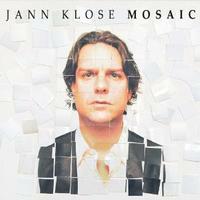 I mean, Jann Klose has a very expressive and diverse voice. So, this song (with only multiple voices for accompaniment) represents in many ways what really drives this set. For that reason, and because it’s a powerful piece in its own right, I’d have to say that in this case, it works.